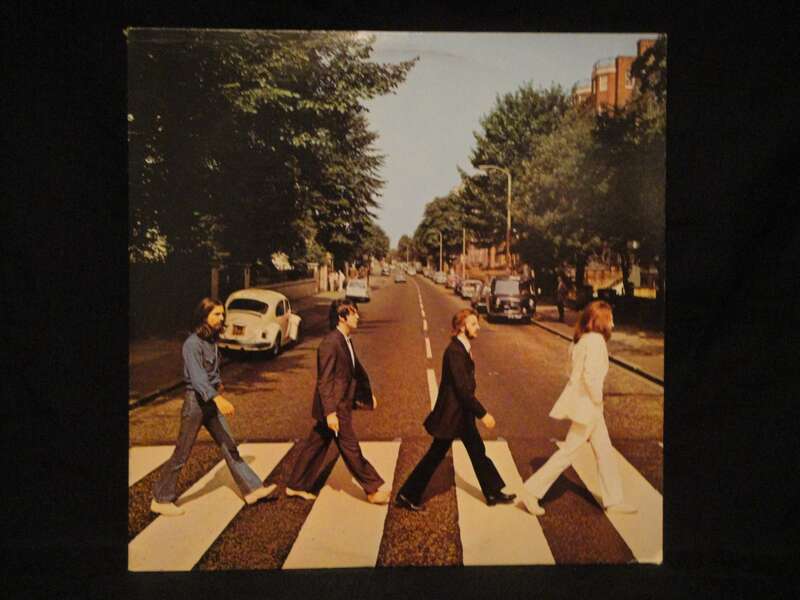 No museum that chronicles all the alleged clues to Paul McCartney’s supposed death would be complete without this little gem: Abbey Road, the 11th studio album by The Beatles. 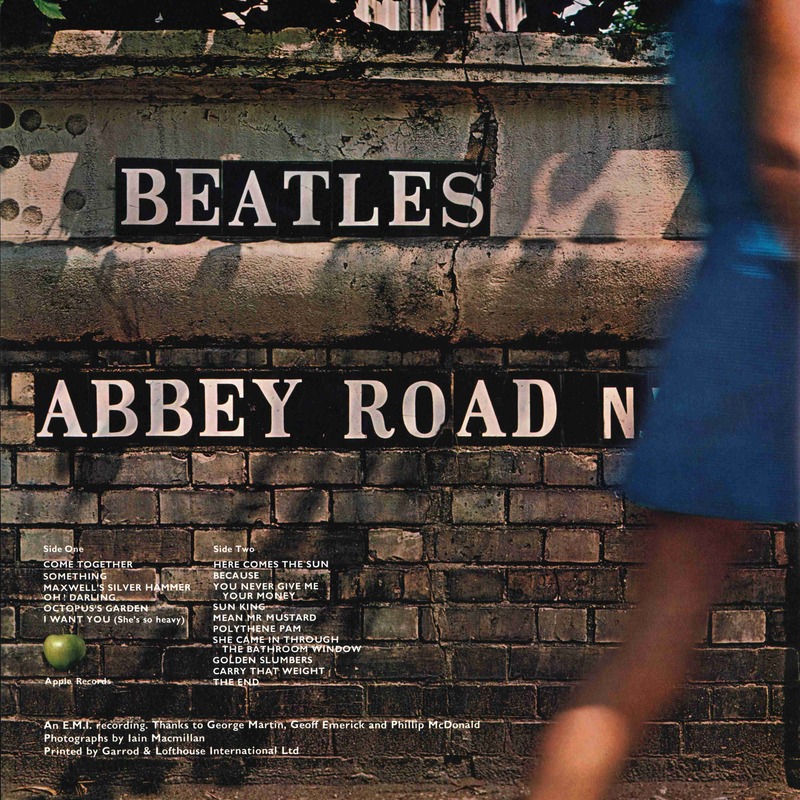 Released in September of 1969, right around the time when the whole Paul Is Dead conspiracy was taking hold, Abbey Road was reported to contain the mother lode of clues, many of which were visible right on the cover. 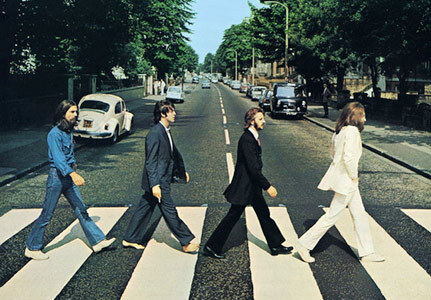 The order in which the Beatles are crossing the street, and the way they are dressed, is said to be depicting a funeral procession, with Paul as the corpse. Moving from right to left, the Beatles are said to represent a religious figure (John), an undertaker (Ringo), a corpse (Paul), and a gravedigger (George). The way that Paul McCartney (or if you believe the rumors, his double) is positioned on the street is also said to hold several clues. For one, McCartney is the only Beatle who is barefoot (which some say is how corpses are buried in India). He is also literally “out of step” with the other Beatles. Finally, he is holding a cigarette in his right hand, which is pointing towards the ground, said to symbolize that the real Paul McCartney is now “in the ground”. Oh yeah, and the cigarette in his right hand is also supposed to be a clue since McCartney was left-handed. Take a look on the left side of the cover and you’ll see a white Volkswagen Beetle (a Beetle, get it?). Upon closer inspection, the license plate of that car reads LMW 28IF. The “LMW” is said to stand for “Linda McCartney Weeps” (Linda McCartney being, of course, Paul’s wife). As for the “28IF”, that is said to mean that Paul McCartney had died at age 27 and that the imposter on the cover was what Paul would have looked like IF he had made it to age 28. Finally, on the right side of the cover is what appears to be a police vehicle with a man standing idly by next to it. 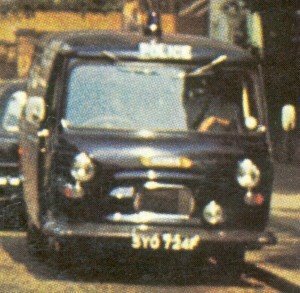 The police vehicle is supposed to represent the authorities who first arrived on the scene of McCartney’s fatal car crash, while the man depicts part of the crowd of people who “stood and stared” at the grisly crash rather than help. Still with me? Good, then flip the album over because there’s even more clues waiting there! Have a peek at the word “Beatles” and you’ll notice that there’s a crack running through it, right near the “s”. This is said to mean that McCartney’s death has literally “fractured” the rest of the group. If you connect the 8 strange dots in front of the word “Beatles”, they form the number 3, which then reads as “3 Beatles”, when there should be 4. Rotating the album cover 45 degrees now makes it appear as though there is an image of a skull immediately after the word “Beatles”. Some take that to represent “death” while others believe that it is supposed to be the skeletal face of Mr. McCartney himself! Oddly enough, even though Abbey Road, specifically the cover, would become synonymous with the Paul Is Dead rumor, the songs on the album itself were never alleged to contain any of the infamous backwards/subliminal messages that fans of the rumor were so keen on. Sure, there were attempts to connect lines from some of the songs (most notably Come Together and Carry That Weight), but those were just the straight-forward lyrics. So if you were looking to uncover the real spooky messages, the albums you needed to play backwards were Sgt. Pepper’s Lonely Hearts Club Band and The White Album. To see where Abbey Road fits in with all the other Paul Is Dead memorabilia in the Strange & Spooky Museum, click here. 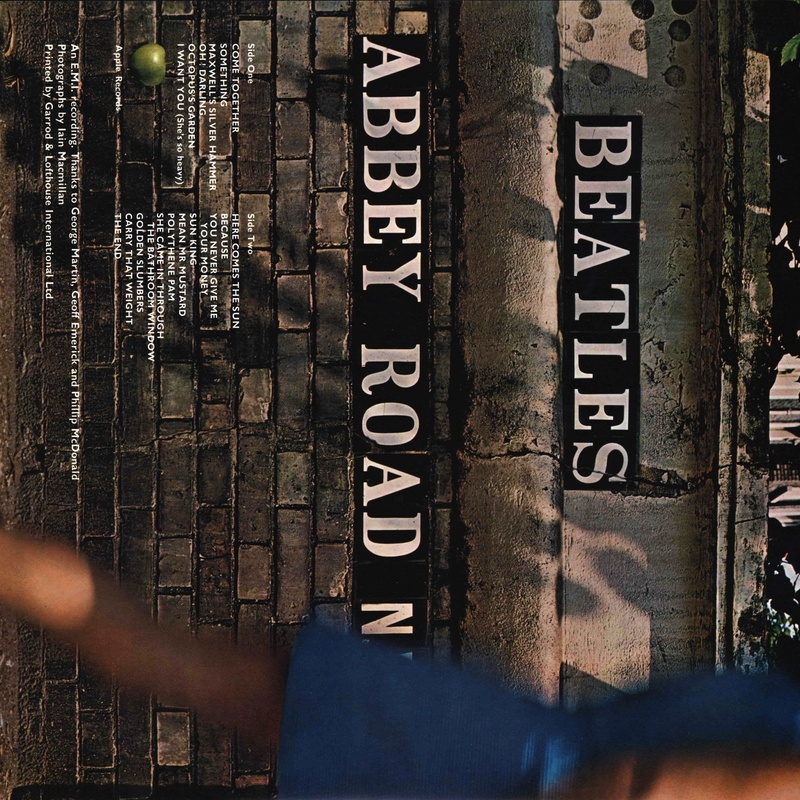 There is also a shadow of a man on the back of the album, leaning to thr right, his head is below the E of Beatles – one could almost convince one’s self that he holding a guitar. I see it! Never noticed that before! You know, over the years, I’ve heard discussions about there possibility being a shadow/image of Paul’s head on the back of Abbey Road. But that was always in reference to the area around the woman’s arm/elbow on the far right of the back cover. Never under the “E”. So thank you for sharing that!